Teeth are a very important part of not only aesthetics, but the way we communicate and eat. Without teeth, we cannot consume many foods that are essential in nutrition. Breaking down the food with chewing is necessary to aid in digestion. In addition, without teeth, speaking clearly may be difficult and can make it hard to communicate with others. When many teeth have been lost or extracted, their only solution to replace their smile in an economical fashion is with dentures. However, Dr. Scott Stewart of South Lakewood Dental is excited to offer an alternative known as Fountain of Youth Dentures. Why Fountain of Youth Dentures? Dr. Scott Stewart has been using these dentures for years to restore smiles and improve the overall appearance of the face. Many traditional denture wearers notice a “sunken in” look that is caused by the disintegration of the jawbone over time. However, with Fountain of Youth Dentures, patients will notice that their overall appearance will be maintained and many experience a dramatic improvement in their facial contours after having these specialized dentures placed. This is due to the neuromuscular dentistry utilized in creating these dentures for ideal positioning and overall harmony with the facial structures. They can also reduce the appearance of fine lines and wrinkles around the chin, mouth, and jaw, which can help in turning back the hands of time—all with a simple denture! Fountain of Youth Dentures are a wonderful alternative to traditional dentures, and are made with high quality materials to make them long lasting, effective, and beautiful. At South Lakewood Dental, we take pride in the products we offer our patients and are excited to offer this denture for individuals who are ready to restore their smile while also maintaining a youthful appearance. 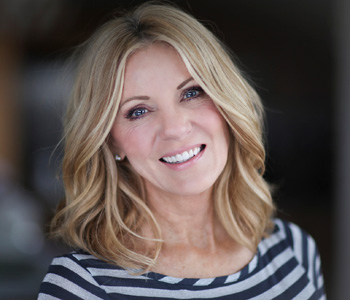 If you live in the Lakewood area and you have considered quality dentures such as Fountain of Youth Dentures, now is a great time to contact Dr. Scott Stewart of South Lakewood Dental to educate yourself in regards to the ways of restoring the smile and achieving a more youthful appearance. Our team is dedicated to working with patients in finding the most effective, affordable solution to their dental concerns.